Dog ear infections can obviously make your pet miserable, but they can also be very frustrating for owners, who must often try one treatment after another while attempting to remedy the problem. There are a variety of questionable dog ear cleaning solutions on the market, which are only good for separating you from your money – they’ll have very little impact on a dog ear infection. But fortunately, there are a few over-the-counter dog ear cleaners – five, specifically – that have proven very effective for treating and preventing a variety of different ear-related problems. Below, we’ll discuss and review 5 of the best dog ear cleaners, explain a little bit about your dog’s ears and talk about the types of organisms that cause problems. We’ll even explain a few natural dog ear cleaners and discuss ways to keep your dog’s ears clean and prevent infections in the first place. What Causes Dog Ear Infections? Bacteria – Bacteria are the most common culprit behind dog ear infections. Some of the most common strains responsible for ear infections include Proteus mirabilis,Escherichia coli and Pseudomonas aeruginosa. Fungi – Malassezia pachydermatis is a ubiquitous yeast, which is commonly present in the ears of healthy dogs. 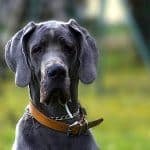 However, if the conditions in your dog’s ears change, these yeasts can exhibit explosive population growth, which can irritate and inflame your dog’s ears. Note that although it is rare, Malassezia pachydermatis is occasionally responsible for serious illnesses in humans. Mites – Dog ear mites, known to biologists as Otodectes cynotis, are tiny eight-legged arachnids that can infect dog ears and cause extreme irritation. They are normally most common in puppies, who lack the robust immune systems that adult dogs possess. However, they can and occasionally do cause problems for older dogs too. Note that the term “infection” implies a biological problem, and the term is usually applied to bacterial, viral or fungal invaders (mites infest, rather than infect, but this is a subtle distinction that doesn’t matter for our purposes here). Veterinarians usually sidestep this issue by referring to these types of problems as otitis externa, which means outer (outside the eardrum) ear inflammation. However, while bacteria and fungi are the primary problems associated with most cases of dog ear infections, these organisms may only colonize your dog’s ear in response to a trauma of some sort. Injury – The damage caused by ear injuries often leads to broken or bruised skin, and it can even lead to a ruptured eardrum. Any such trauma can – and often does – leave the ear vulnerable to pathogenic bacteria or fungi. Foreign Bodies – If your dog gets something wedged down in his ear canal, it can lead to an infection. 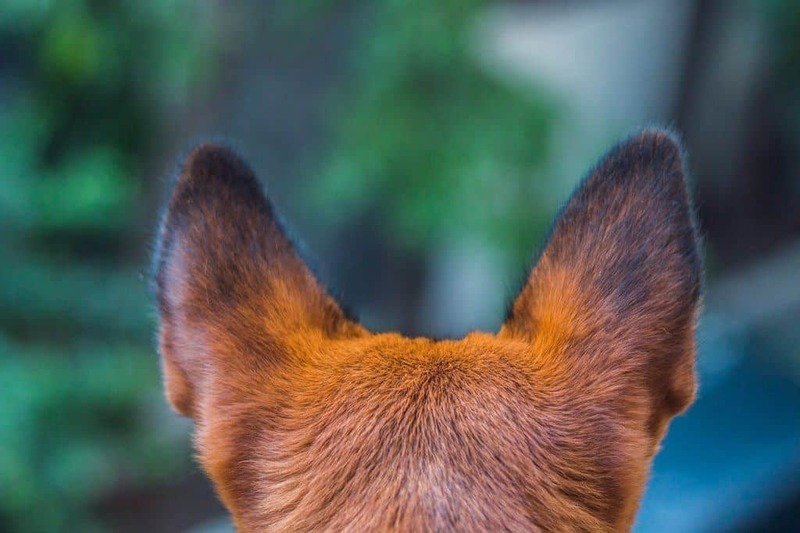 Foreign body obstructions often occur in dogs who live with small children (who may deliberately, if not maliciously) put something into the dog’s ear, but they can also occur when owners clean their dog’s ears inappropriately. Insects can also cause ear obstructions if they enter the ear canal and find themselves unable to escape. 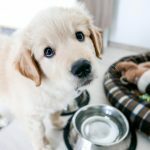 What Are Some Common Dog Ear Infection Symptoms? Typically, the symptoms focused around the ear – discharge, inflammation and pawing – are most common in mild dog ear infections, while systemic symptoms, such as head swinging or poor balance, can indicate a more serious problem. While it is always important to keep your vet in the loop when you are treating dog ear infections, following are five of the best dog ear cleaners that can help prevent and relieve many common ear problems in dogs. Just be sure to let your vet know if you are using any of these products. About: EcoEars is an natural dog ear cleaner that is designed to help relieve a variety of different symptoms that often accompany dog ear infections. Made without pharmaceuticals, synthetic chemicals, hydrocortisone or antibiotics and backed by a money-back guarantee, EcoEars washes away pathogens to leave your dog’s ears clean and healthy. Customer Reviews: Most dog owners who’ve tried EcoEars absolutely rave about the product. Phrases like “amazing!” and “best product I’ve ever tried,” were used by some of the most pleased owners to describe their experiences. Most report that the product was effective for treating dog ear infections and that their dog’s ear flapping and pawing stopped very quickly. Bottom Line: Owners who prefer natural, botanically based solutions will likely love EcoEars. It isn’t one of the cheapest treatments for dog ear infections available, but it is certainly one of the best-reviewed products on the market. It does contain alcohol, which some vets recommend avoiding, but it is hard to argue with the results most owners have enjoyed. About: Zymox Otic Enzymatic Solution with Hydrocortisone is an antibiotic-free ear treatment that can help alleviate problems caused by bacteria, fungi or viruses. And because it doesn’t rely on antibiotics to work, the manufacturer explains that it is effective against antibiotic-resistant strains, making it exceptionally helpful for dogs with chronic ear problems. Customer Reviews: The vast majority of dog owners who tired Zymox Otic Enzymatic Solution with Hydrocortisone were extremely pleased with the results. Most owners reported that the solution produced very rapid results; several dogs appeared to heal completely in as little as a week’s time. Bottom Line: Zymox Otic Enzymatic Solution with Hydrocortisone earned better reviews than any other ear infection treatment on the market. The solution appears to remove most of the offending organisms in your dog’s ears, and the hydrocortisone helps to reduce pain, irritation and inflammation. Note that you can also purchase Zymox Otic Enzymatic Solution without Hydrocortisone too if that would better suit your dog’s needs. For example, some dogs should not be treated with corticosteroids, and they may not even be necessary for treating mild ear infections. About: Epi-Otic is a non-irritating, keratolytic antiseptic, which is designed to help clean your dog’s ears and kill the microorganisms lurking inside. Because Epi-Otic does not contain alcohol (which can dry the delicate skin inside your dog’s ears), it can be used for routine ear cleaning as well as for the specific treatment of ear infections. Customer Reviews: Epi-Otic received very good reviews from most owners who tried it. This includes owners who were seeking to treat ear infections in dogs as well as those who only use it for routine cleaning. Some owners did note that the dog ear cleaning solution has a mildly objectionable smell, but most found this to be only a minor problem. Bottom Line: Epi-Otic is one of the few ear cleaners for dogs that doesn’t contain ingredients that’ll likely lead to dry, irritated skin. Accordingly, it is always deserving of consideration, whether you are trying to help your dog clear an ear infection or you only need it as a preventative cleaner. Additionally, Epi-Otic is one of the most affordably priced dog ear cleaners on the market. About: Petpost Dog Ear Cleaner is an all-natural, coconut-based cleaning solution that can help combat problems caused by excessive wax, yeast and mites. Safe, gentle and backed by a 100% satisfaction-guarantee, Petpost Ear Cleaner is a low-risk option for dogs suffering from ear problems. Customer Reviews: Most owners who tried Petpost Dog Ear Cleaner found that it helped reduce their dog’s troubling symptoms and that it helped keep their dog’s ears clean. It not only eliminated odors, but several owners noted that the solution itself had a pleasant smell. A few owners even noted that the instructional literature accompanying the product was well-designed and very helpful. Bottom Line: Petpost Dog Ear Cleaner is another great option for owners who prefer all-natural solutions for their dog’s ear problems. It is priced comparably to most similar products, and it is gentle enough to be used as a long-term ear cleaning solution. Additionally, like other antibiotic-free ear cleaners, this product won’t cause problems with antibiotic resistance. About: Mister Ben’s Original Ear Tonic for Dogs is an all-natural dog ear cleaner designed to not only treat your dog’s ear problems, but to soothe your dog’s ears while the healing process occurs. Made from five different active ingredients – isopropyl alcohol, povidone iodine, white vinegar, boric acid and aloe – Mister Ben’s Organic Ear Tonic is effective and gentle on your dog’s ears. Bottom Line: If you are looking for an all-natural, US-made ear treatment for your dog, Mister Ben’s Original Ear Tonic for Dogs deserves serious consideration. The tonic is easy to apply to your dog’s ears, and most customers who’ve tried it have reported fantastic results. Do note that because it contains alcohol, it isn’t good for dogs with open wounds (including flea bites) in their ears. ​​When Should You See Your Vet About a Dog Ear Infection? Always use your best judgment when trying to decide whether or not to visit the veterinarian, but it is always wise to err on the side of caution when discussing ear problems. Left untreated, ear infections in dogs can cause serious, long-term health problems, so it is wise to get your vet onboard early in the process. Additionally, you’ll need your vet to help confirm that your dog is, in fact, suffering from an ear infection, and not, for example, a tumor. Your vet will also be able to identify the cause of your dog’s ear infection, which will be important for successful treatment, and prescribe pain medication, to help alleviate your pet’s suffering. While some owners may feel comfortable treating dogs with recurring ear infections at home, it is always important to contact your vet if your dog’s symptoms worsen, or your dog begins demonstrating symptoms of systemic involvement, such as incoordination or facial paralysis. 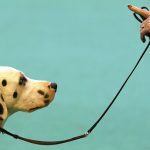 Your vet will likely begin by taking a detailed history of your pet and his symptoms. 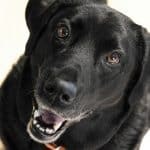 He or she will likely ask about the symptoms your dog is exhibiting, as well as the duration of the problem and any treatments you’ve already tried. Then, your vet will move on to a physical examination. This will begin with a visual examination of the ear (although your vet may first investigate the relative amount of pain your dog is in – sedation may be required first). Your vet may use a tool called an otoscope to get a better look inside your dog’s ear. Don’t worry, the otoscope won’t hurt your dog at all. Your vet may also take cultures or samples from your dog’s ears for laboratory analysis. It may also be necessary to perform a neurological exam or take x-rays to determine if the problem has caused any problems deeper in your dog’s head. Your vet will likely prescribe a pain medication to help your dog feel better, as well as an antibiotic or anti-fungal medication if the tests point to a bacterial or fungal infection. Steroids may also be prescribed to help reduce inflammation in the ear, and your vet may recommend altering your ear-cleaning techniques or using a prescription-strength dog ear cleansing solution. One of the most important things you can do to avoid a dog ear infection is to keep your dog’s ears clean and – most importantly – dry. Many of the microorganisms that infect dog ears are only able to do so when the dog’s ears stay damp, so simply drying your dog’s ears after baths or dips in the local pond will help immensely. You’ll also want to ensure that your dog and his bedding stay clean. The fewer bacteria and fungi present in his environment, the less likely he is to be troubled by them. So, be sure to wash your dog’s bed frequently and give him a bath once or twice per month (again, make sure you dry his ears). Strict hygiene is especially important for puppies, who are more susceptible to mites than adults are. But in addition to keeping your puppy clean, you’ll also want to keep him away from other pets (including cats). Ear mites are incredibly contagious, and they are often transferred through casual contact. 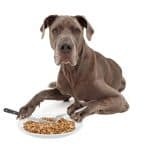 You’ll also want to be careful to avoid feeding your dog foods that may exacerbate food allergies or dry out his skin. Either of these things can directly lead to itching, and they can also promote the conditions in which pathogenic bacteria and fungi can thrive. To help promote good microbial skin flora, some owners like to give their dog a good probiotic supplement, but it is not yet clear whether this will have any appreciable effect on your dog’s health or not. In addition to the products recommended above, there are a variety of homemade remedies for dog ear infections that many owners have found effective. Although natural doesn’t always mean harmless, most of the strategies and substances discussed below are safe and unlikely to cause your dog any problems. However, as always, you’ll want to discuss any treatment strategy with your vet before proceeding. Coconut oil is not only an effective, naturally occurring antibiotic liquid, it also has anti-fungal properties. Accordingly, it is a great option for those looking to treat their dog’s ear infection naturally. In fact, it is the active ingredient in several commercially produced dog ear cleaner remedies. Simply pour a little lukewarm coconut oil into your dog’s ears and rub it around with a gauze pad. You can do so twice or thrice daily, and most owners can expect to see results in about a week. Apple cider vinegar helps to lower the pH in your dog’s ear. This makes life tough for pathogenic bacteria and fungi, and it usually leads to their eradication. Then, beneficial bacteria will be able to recolonize your dog’s ear and prevent recurrence. To use apple cider vinegar, make a dilute solution by mixing it with an equal amount of water. Then, swab the solution around your dog’s ears with a piece of clean gauze. Repeat once every day until your dog’s ears heal. Mullein is a naturally occurring herb, which is used in a few over-the-counter dog ear cleaner medicines. However, you can make your own version of these medications by chopping up some fresh or dried mullein, mixing it in with some olive oil and allowing it to soak for a few weeks. The solution can then be swabbed onto your dog’s ears or applied with an eye dropper. Apply once per day until your dog’s symptoms improve. Has your dog ever had an ear infection? How did you treat it? Did you find a dog ear cleaner or other remedy that was especially helpful? We’d love to hear all about your experiences.